Apple’s iPhone XS, XS Max and XR garnered plenty of hype at the tail end of 2018 but ultimately fell short of the mark, not to mention the company’s expectations. Following the phones’ underperformance on store shelves post-launch, CEO Tim Cook released a letter to investors, confirming a revision in Apple’s expected earnings for the first quarter of 2019. 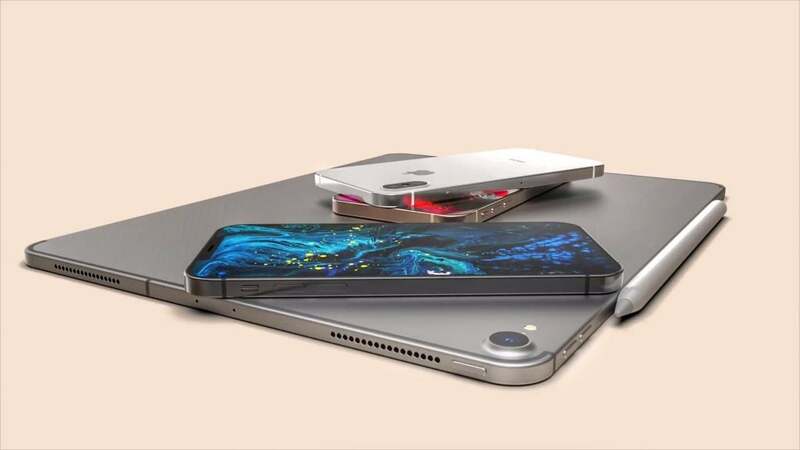 With such uncharacteristically underwhelming performance, the onus on Apple to ensure that this year’s iPhone lineup is a hit is arguably greater than ever. Talk of an iPhone 11 (or an iPhone XI, depending on where you look) has been floating around since before the XS was even unveiled and the renders, rumours and leaks aren’t likely to slow anytime soon. In fact, quite the opposite, as we ramp up to Apple’s official 2019 iPhone launch, expected to take place around September this year. With that in mind, here’s everything we think we know about the iPhone 11 so far. With the exception of the move from the home button to the notch, it’s not unreasonable to call the evolution of iPhone design distinctly iterative. There’s a clear makeup that endures from the original iPhone right through to the iPhone 8 and 8 Plus, and that’s fine, but it also makes it much easier to predict what its creators might be up to next. 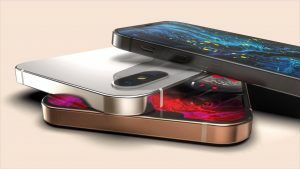 There have been a number of fan-made renders that have surfaced since the notion of an iPhone 11 first came into being, some depicting a wishlist of traits that users might want to see, while others are based on supposed specs and other tidbits of information that are expected to grace the final hardware. 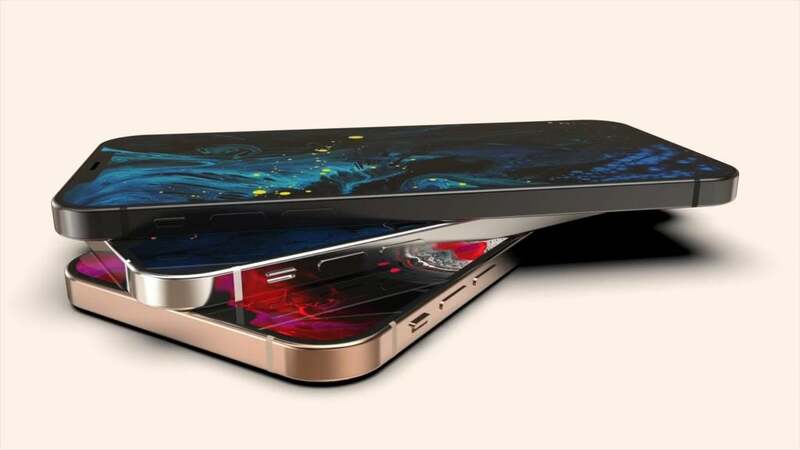 Chinese site Gamersky picked up one of the most logical interpretations of what an iPhone 11 could look like, with a handset whose aesthetics have clearly been influenced by the most recent iPad Pro models. With Apple shunning curve edges for more squared slates last year, there’s every chance that the company will also instil this trait into its next iPhone(s) too. Beyond this key differentiation over the current iPhone XS’ form, there’s little else that seems decidedly different. The renders (and video) show discreet volume controls, an alert switcher, a Siri/power key, no headphone jack, a USB-C port (in place of Lighting) and, of course, a notch on an otherwise near bezel-free screen. Near edge-to-edge screen aside, if Apple was to pursue this design direction it will have inadvertently reinstigated the look of older handsets like the iPhone 4, 5 and SE lines. Established digital artist Concept Creator also turned his hand to an ‘iPhone XI’ concept video. His rendition mostly mirrors Gamerksy’s slab-sided interpretation, save for more distinct chamfers running along the metal frame and against the camera surround. The module on this version notably features a Huawei P20 Pro-style triple rear sensor arrangement, alongside a dual punch-hole front camera setup that would eliminate the existing iPhone’s characteristic notch. 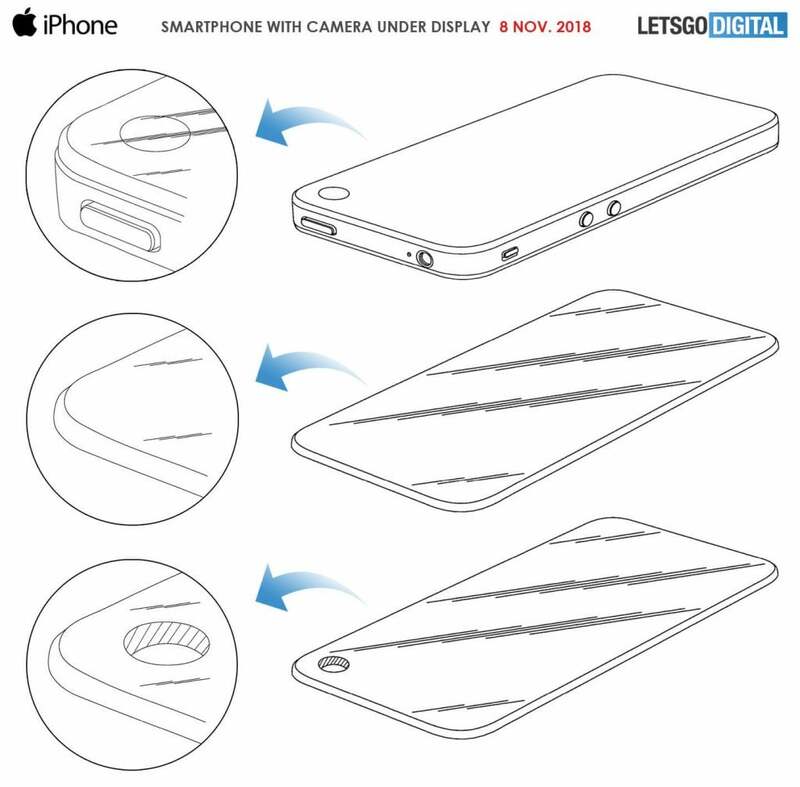 Unlike the hole-punch cutout that can already be found on the likes of the Honor View 20, Apple’s proposed patent hints at dedicated, shaped lens glass that would be inlaid into the standard display glass of the phone or a method by which the camera sits under the display panel itself. There isn’t much in the way of information on the screen technology likely to be at play, but there’s little reason to think Apple will deviate from the 5.8 and 6.5-inch screen sizes currently used by the XS and XS Max, nor are we likely to see the 11 jump from OLED technology back to LCD. HDR support will undoubtedly remain part of the equation too. iPhone 11 – Hardware and 5G: Is the next iPhone 5G? One of the biggest question marks hanging over every one of 2019’s upcoming flagship phones is whether or not they’ll support 5G. While the technology is still very much in its infancy, as far as consumer-ready networks are concerned, spec junkies are still eager to see which top phones will support the super-fast data speeds of 5G in 2019. Unfortunately, it’s looking like the iPhone 11 won’t be one of them. According to a Bloomberg report co-authored by noted Apple crystal ball gazer Mark Gurman, the Cupertino-based company will “hold off until at least 2020” to introduce a phone with next-generation 5G mobile data speeds. One potential reason why the notion of a 5G iPhone isn’t likely to become reality in 2019 may be related to Apple’s problematic relationship with leading semiconductor outfit Qualcomm, whose 5G-ready Snapdragon X50 modem will undoubtedly grace plenty of other phones on 2019. This isn’t to say Apple is resting on its laurels, however. As first spied by The Information, in December 2018 the company pushed out job postings for a pair of cellular modem systems architects; while a handful of other vacant engineering positions at the company were also after those with knowledge of the design and development of a layer 1 cellular PHY chip – fancy talk for physical mobile networking hardware. This suggests that the company might be looking to develop a 5G modem all its own, even if we’re unlikely to see the fruits of its labour by the time the next iPhone launches. 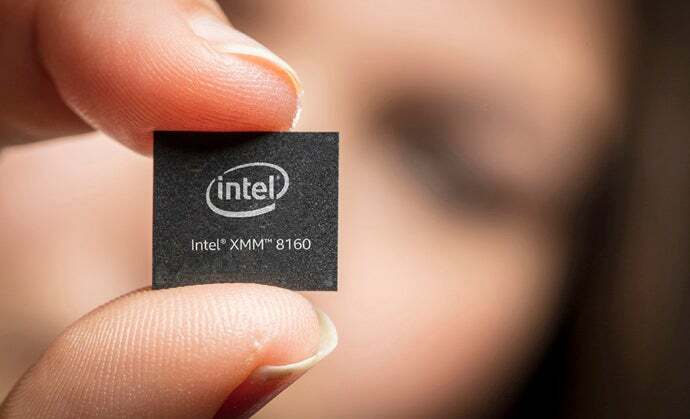 Alternatively, Apple’s other/remaining major chip partner Intel has also announced a 5G modem of its own – the XMM 8160. However, as with Apple cooking up its own 5G solution, Intel’s modem won’t actually make its way into OEMs’ (original equipment manufacturers) hands until late 2019 – potentially too late for the next iPhone’s late summer/early autumn launch window. Not all hope is lost, though. While 5G might not be part of the iPhone 11’s spec sheet, next-generation Wi-Fi could well be. In a CES wrap-up report, Barclays analyst Blaine Curtis (via 9to5Mac) said the 2019 iPhone will benefit from the latest Wi-Fi 802.11 ax standard, more commonly known as Wi-Fi 6; replacing the existing Wi-Fi 5 (or 802.11ac), which was released way back in 2014. The Wi-Fi Alliance believes the new standard will offer 4x better performance in congested areas such as sports stadiums and concert venues, which often struggle to provide reliable connectivity under strain. Wi-Fi 6 is also tipped to offer 40% higher data speeds through more efficient data encoding, better network efficiency and improved device battery life. The latter is achieved by putting the Wi-Fi radio in sleep mode when not in use by a network. We’re still a ways out from any concrete iPhone 11 hardware information but the camera has arguably been the most talked about aspect of the handset’s feature-set and with good reason. While nobody disputes the current iPhone’s excellent imaging setup, Apple has unquestionably changed tack with how its phones handle image processing and such tweaks haven’t been to everyone’s tastes. We don’t yet know whether Apple will revert back to a more natural approach with the camera on the iPhone 11 but there are plenty of rumours out there suggesting that, photographically speaking, it’s going to pack a punch no matter what. Regarding the 11’s general imaging arrangement, beyond the dual and triple cameras already detailed by Gamersky and Concept Creator, noted phone tipster @OnLeaks partnered with CompareRaja to produce some iPhone 11 renders with a distinctly different layout. 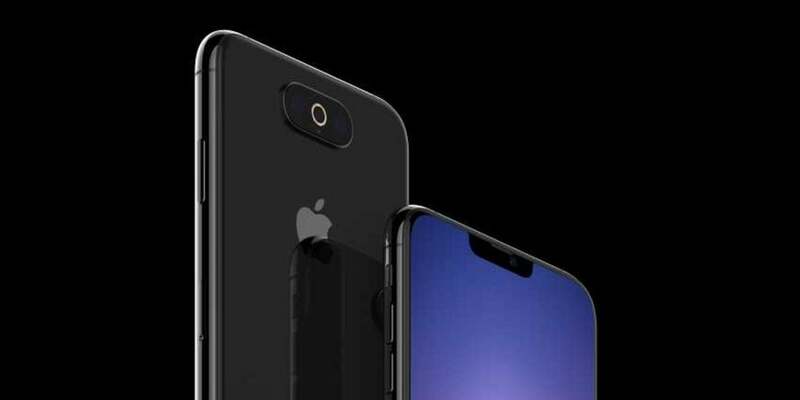 Like the P20 Pro, the images show a phone with a triple camera array, however, they’re positioned horizontally, directly above the Apple logo and even feature a ring flash. If this turns out to be on the money it would signal a significant departure from established design norms, with every iPhone since the 2007 original sporting a camera in its top left corner. The triple setup could make an appearance on the final product, the new placement seems less likely. 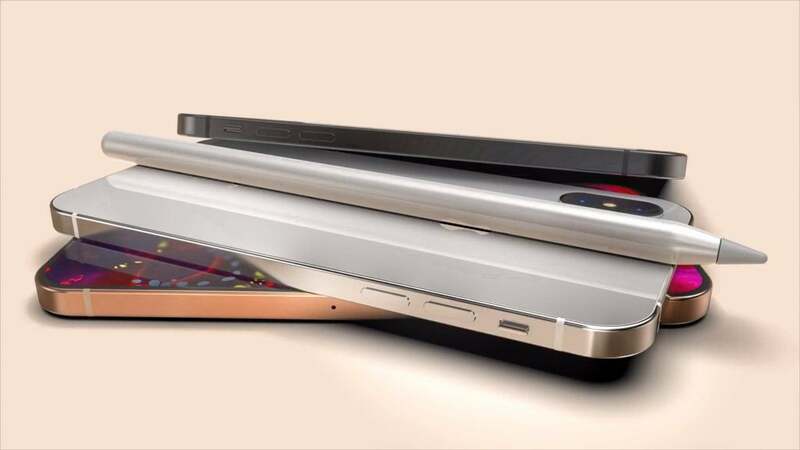 Should that not whet your appetite enough, 9to5Mac spotted this video render by ConceptsiPhone that showcases one of the most ambitious iPhone camera setups yet. Alongside an in-display fingerprint sensor and USB-C port, the video shows off a large triple rear camera module, complete with a laser-based autofocus system and a whopping 48-megapixel primary sensor with a wide f/1.6 aperture. Unlikely, sure, but why not dream big? Moving away from what the camera setup might look like to what it’ll be capable of, there are a number of intriguing potential features floating around. 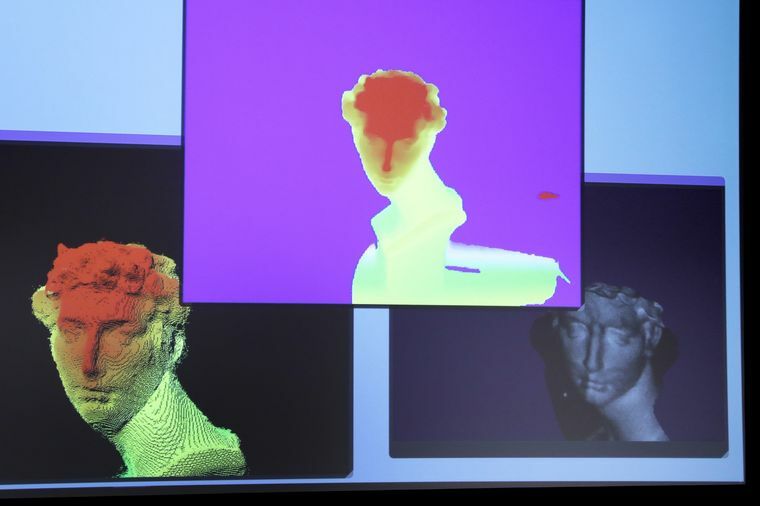 According to BloombergQuint, this summer Sony (responsible for the camera sensors used by a host of OEMs) is supposedly ramping up production of new 3D image sensors in order to meet demand from smartphone manufacturers, which could include existing customer, Apple. It’s a technology (called ‘ToF’ or ‘Time of Flight’) that we’ve already seen in phones like the Oppo RX17 Pro and Vivo Nex Dual Display but has seen little use in the smartphone space up until now. The iPhone already has a reliable raise-to-wake function but adding in support for camera specific usage seems like a unique selling point that may help the 11 differentiate itself in yet another way, not to mention help, budding mobile photographers grab a snap at a moment’s notice. With the iPhone launch keynotes usually taking place around early September and the phone’s arriving a couple of weeks later, the iPhone 11 (and iPhone 11 Max) aren’t expected to be any different, with pricing again expected to start at the same sizeable threshold of £999. The post iPhone 11: Price, release date, specs and all the latest leaks appeared first on Trusted Reviews. Gmail Smart Compose comes to more Android devices – is yours among them?